Total annual pension contribution and lifetime total of tax advantaged pension benefits . The annual allowance is a limit on the amount that can be contributed to your pension each year, while still receiving tax relief. The allowance applies to the total amount of contributions an individual receives, including any employer contributions. The annual allowance is currently capped at £40,000 although a lower limit of £10,000 may apply if you have already started drawing a pension. The annual allowance applies across all of the schemes you belong to. If you exceed the annual allowance in a year, you won’t receive tax relief on any contributions you paid that exceeded the limit and will be given an annual allowance charge. The lifetime allowance is a limit on the total amount of tax advantaged pension benefits that an individual can accrue. Benefits amassed beyond the lifetime allowance will suffer a penal tax charge. Pension sums are measured against this limit when benefits are taken, that is, when lump sums or income is taken from the fund. When benefits are taken they consume a proportional amount of lifetime allowance. Lifetime allowance was introduced in 2006. The current level for 2015/16 tax year is £1.25 million. This figure will reduce to £1 million from April 2016. If you are unsure regarding any aspects of your annual allowance or the lifetime allowance, it may be worth getting in touch. 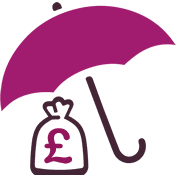 We can help obtain the capital value of your pension benefits from all your pension arrangements and check whether your benefits are likely to be valued in excess of the lifetime allowance by the time you take your benefits. We will factor in the likely fund growth and future level of pension contributions and help to protect you from an unnecessary tax charge.